Zinc-plated steel. 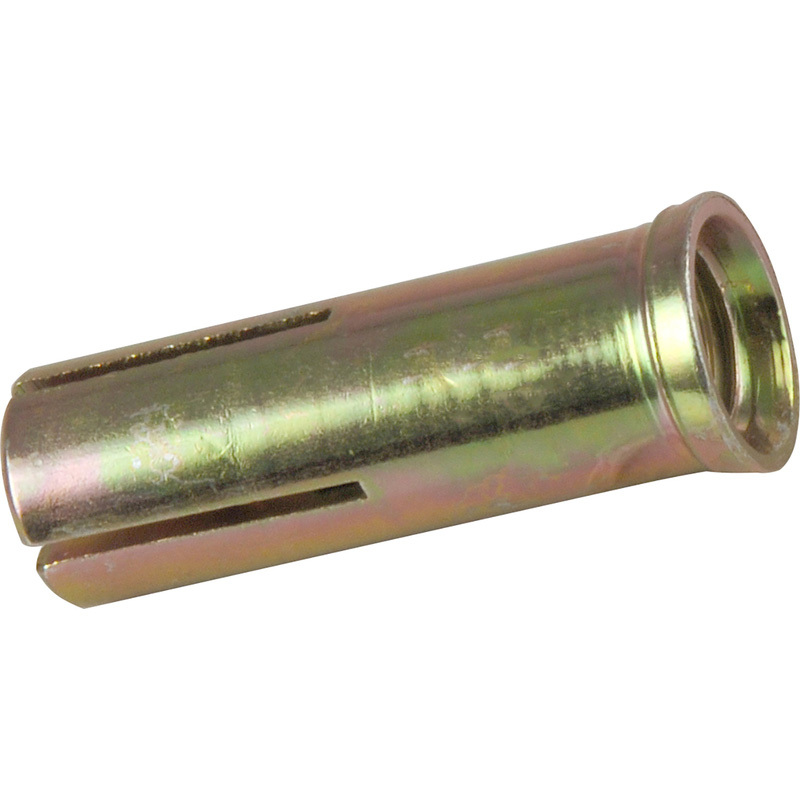 Internally threaded suitable for pre-positioned, non-load bearing installations. For use in concrete and natural stone. Embossed lip prevents anchor from slipping.